When one says the word antebellum, what images pop up in your brain? Perhaps you imagine Gone with the Wind style summer balls, enormous oak trees, and belles in beautiful gowns. Now open up your mind to not only a simpler time, but to a simpler lifestyle. Featured in Garden & Gun magazine, this couple was proud to show off their restored antebellum home. No, it’s not a sprawling plantation home; it’s a Tennessee dogtrot classic, also known as a breezeway house. 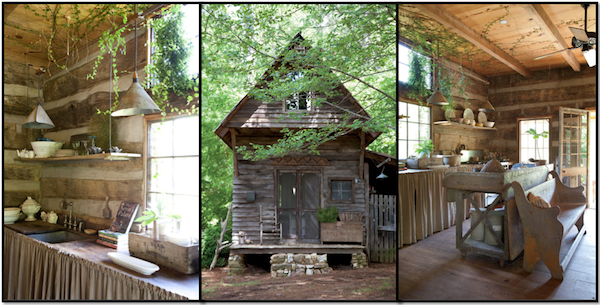 Located just outside Madison, Georgia, the Malones relax in their restored cabin, day in and day out. Throughout, the home relates back to vintage, rustic tones. Rich wood has the forefront on the interior and exterior, as well as the lush greenery throughout. In the kitchen, fig vines are growing naturally throughout. Spotted over the perimeter prep area, two vintage pendants hang amongst the vines. The pendant lights have such a true antique look to them that one may think that they came from the 1840s when the home was originally built. Acquiring vintage pendants like this is possible through vintagebarnlighting.com. 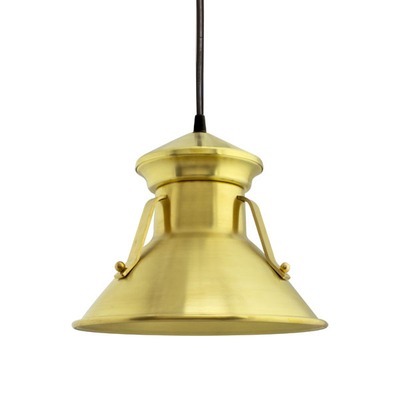 However, if you’re looking for that popular “new old” look, check out our selection of Barn Pendants. 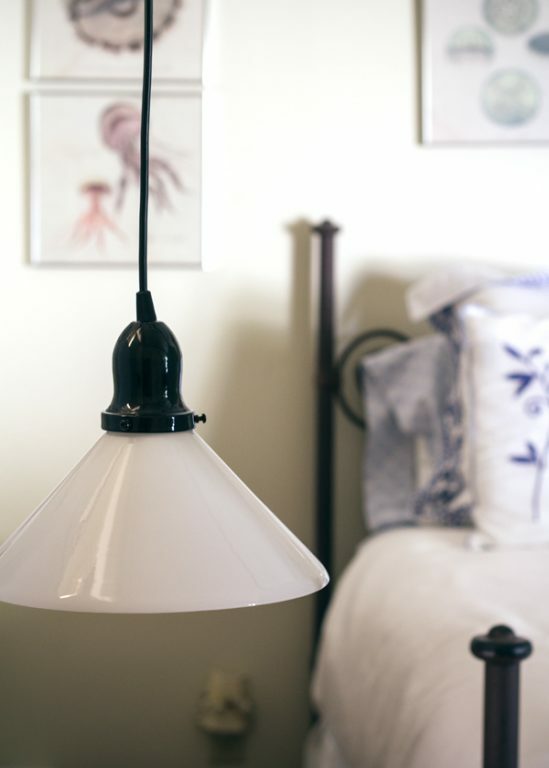 These American made pendant lights stay true to the quality production of vintage fixture. For the same bell-shaped dome as the pendants in this dogtrot kitchen, the Colby Pendant and the Homestead Pendant keep the same shade style. The benefit about buying a new, custom made pendant? You have the option to choose finishes and mounting options to suit your space and needs. The Colby Pendant is manufactured from high-quality, durable aluminum. For a more delicate look, the Homestead features a glass shade with a vintage cup. 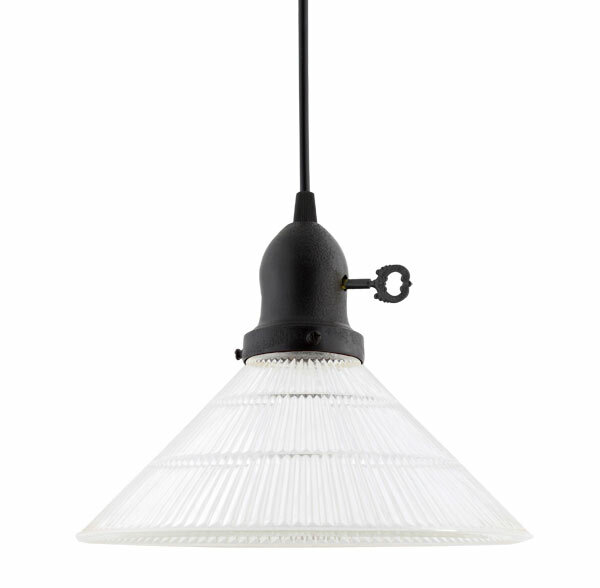 The clear ribbed glass appears strikingly similar to the vintage holophane pendants, also available through Vintage Barn Lighting.